Alaska’s takeover of Virgin America closed about a year ago, and the airlines have been working on streamlining things as much as possible. Prior to the merger, just about the only thing that the airlines had in common was their strength on the west coast. Just about everything else about the airlines was different, from their fleets, to their frequent flyer programs, to their “style,” to their approach to inflight entertainment, etc. So the airlines have started co-locating in terminals around the country as much as possible, though that’s not necessarily an easy task, given how congested airports are. This has also presented a challenge on the lounge front. 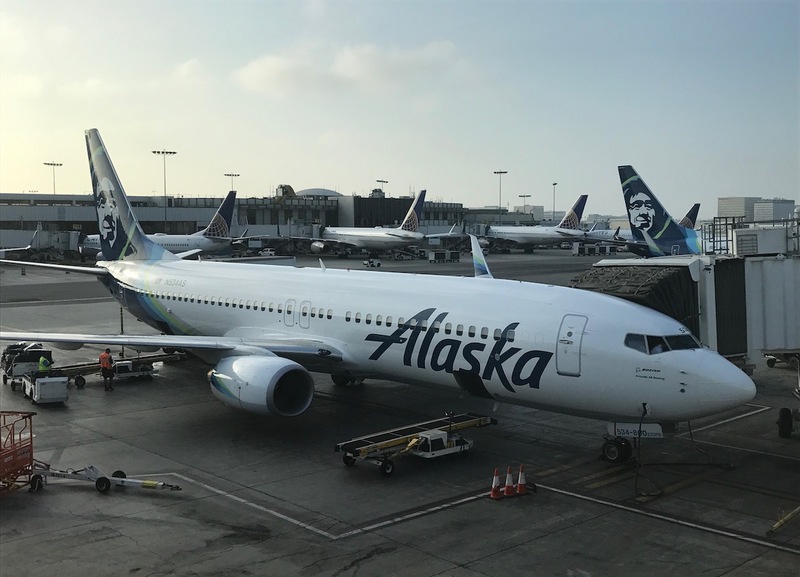 Alaska Airlines operates their own lounges in Anchorage, Los Angeles, Portland, and Seattle. 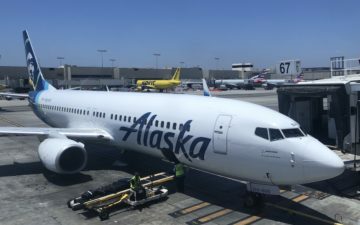 Alaska gives all paid first class passengers (whether paying cash or on an award) access to lounges for all domestic flights, so that’s a nice gesture. On top of that, Alaska has reciprocal lounge agreements with other other airlines. You don’t have access to these partner lounges on account of being on a first class ticket, though you do have access if you’re an Alaska Lounge member. I guess this shouldn’t come as much of a surprise, but Alaska Lounge members will no longer have access to the Admirals Club in San Francisco as of January 1, 2018. While Alaska and American are scaling back their relationship, I don’t think this is directly related to that. Rather the American Admirals Club no longer has the space to handle the volume of Alaska passengers that are using it, given the number of flights that have been shifted over to this terminal. Alaska is working on finding their own lounge space in Terminal 2, though I’m not sure they’ll have much luck there, as the terminal is already pretty much at capacity. So, what’s the best alternative for Alaska flyers who still value lounge access at SFO? Get an Admirals Club membership. Admirals Club members can access Alaska Lounges regardless of whether they’re flying American or Alaska, and can also access Admirals Clubs regardless of which airline they’re flying. The card’s $450 annual fee is equal to the absolute cheapest Admirals Club membership you could buy. That’s the price for Executive Platinum members, though if you have lower status you’d pay more, and you also wouldn’t be able to add 10 authorized users at no additional cost. I’m curious to see how Alaska resolves this situation. Historically Alaska is an airline that offers lounges at their hubs, while Virgin America doesn’t. With Alaska being the surviving airline, it sure seems like they want to open a lounge at SFO. However, it remains to be seen whether they can actually get any space in Terminal 2. Are you going to post about the ATL situation? 1. SFO T2 is one of the nicest terminals in the country, with good food, lots of open space and seating, and free WiFi. The Admirals Club there is nice, but less necessary than, say, JFK T8. What also isn’t advertised is that flying on VX instead of AS, you can’t use the Admiral’s Club. I was denied entry at the SFO lounge, and was also confirmed when calling into AS customer service. Ended up going out of security and to the Centurion Lounge instead. AS definitely needs an SFO club. 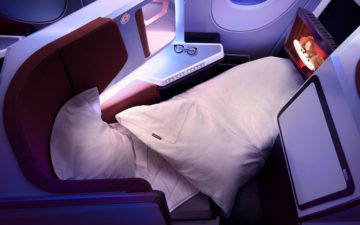 However, you can also get access to the Virgin Atlantic club for $40 – a few glasses of champagne and it pays for itself. I’m surprised nobody has written about this, but the real problem is the shambles their operation is on the east coast, especially Boston and JFK. Alaska -and- Virgin fliers both lost JFK lounge access and everything from check-in to security (no precheck and backed up security lines that now take 20-30 minutes and BA won’t let Alaska flyers use their fast track line) to concessions (they decided to shut down 8 food establishments at once for renovation – good job) to one working (dilapidated and cramped) bathroom in the entire airside terminal – yuck. It’s a complete and total train wreck and measurably worse than even LaGuardia. I can only imagine all but the most loyal Alaska flyers and mileage geeks took their JFK business over to JetBlue and Delta. I was under the impression that AS was planning to build a lounge at SFO within the next year or two. Does T2 have space for that? Presumably it was built to accommodate some type of expansion (in terms of terminal facilities, like lounges), right? If in T2 @ SFO there is a Boarding Area D->C connector post security. Boarding Area C has the Delta SkyClub. 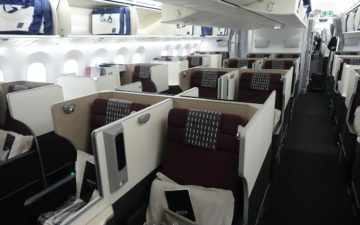 Delta Gold SkyMiles from American Express allows discounted entry for $29. About a year ago I head from a higher up at Alaska that they would be building a lounge of their own in T2 on the second floor above the security check point. Pretty sure AA is going to have a club built for them in T1 and move there, while AS will take T2 and the AC . This change in policy should be helpful to Alaska Lounge members flying VX metal who can access Admirals Clubs at airports other than SFO. Hmm, don’t all airlines do that? Isn’t that the primary audience for any airline lounge i.e. those who have paid up for a first class ticket? I’d like to think that paid passengers in First are always the highest priority for admission to a lounge over, say, those on awards, upgrades, miles or up-market credit card. Not necessarily. Domestic F on AA, UA, and DL (and basically every other airline) don’t provide lounge access unless you’ve purchased a membership or hold a CC which permits access. International flights, however, are different. But here Lucky’s talking about domestic F pax as that’s the bulk of AS’ routes. Ah, OK, that explains while recently taking domestic flights on AA on paid F tickets, they kept asking me for my OneWorld Emerald card (courtesy of BA). If that status qualifies me then I guess it doesn’t even matter what class I am in. Yech, I miss Virgin. Not that I hate Alaska, but Virgin was SO MUCH BETTER. So, what does this mean for Alaska 1st class paid passangers departing on a domestic flight from SFO? No lounge access at all? Just an update that Admirals Lounge SFO does not accept Alaska Lounge Card anymore – since last April… Very disappointing as there are no lounges in T2 SFO, where Alaska flies almost all their flights from!